Check out this new app. It’s called Joypad and you can find it on the app store for free. This new app allows you to sync your iPhone to an iPad over Bluetooth. What this does is quite amazing. 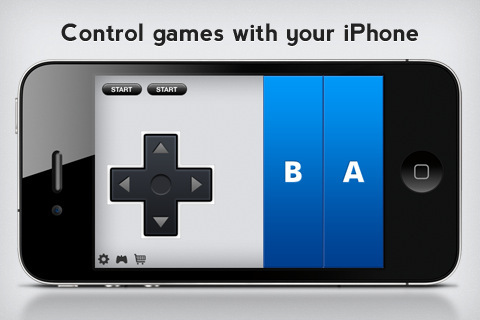 It turns your iPhone into a controller to play games on your iPad. It’s also possible to use Airplay to send the video to your TV, now that’s pretty sweet! The SDK for this app is also free and you can find all the info including the links here courtesy of 9 to 5 Mac. On the down side this app only works for the games the have been made to use this function (via Joypad SDK). So this means that you cannot use it with any games that you currently own. Games that support this app need to be purchased from the app store. While this app supports some cool features like skins (.99 ea), multiplayer support, multiple layouts and WiFi, Bluetooth or Ad-hoc networking capabilities. It may not be the right choice for just any gamer. My friends informed me about your website, I believe it’s very pleasantly done! Good work. My girlfriends told me about your site, I believe it is quite brilliantly done! Excellent job. My friends told me about your site, I feel it’s very successfully done! Fine job. Thanks so much with this! I haven’t been this moved through a article with regard to a very long time! You’ve got it, what ever that means within blogging. Anyway, You are definitely someone who has some thing to express that people ought to hear. Continue the great function. Continue inspiring the people! Wonderful blog! Do you have any recommendations for aspiring writers? I’m hoping to start my own site soon but I’m a little lost on everything. Would you propose starting with a free platform like WordPress or go for a paid option? There are so many choices out there that I’m totally confused .. Any recommendations? Thank you! I have been exploring for a little bit for any high quality articles or blog posts on this sort of house . Exploring in Yahoo I at last stumbled upon this site. Reading this info So i?m happy to convey that I’ve a very good uncanny feeling I came upon just what I needed. I so much no doubt will make certain to don?t disregard this website and give it a look regularly. Interesting info once again. Thanks a lot. I wanted to follow up and allow you to know how great I cherished discovering your web blog today. I might consider it an honor to operate at my place of work and be able to make real use of the tips provided on your blog and also participate in visitors’ comments like this. Should a position of guest article author become on offer at your end, please let me know.